I think I’ll go ahead and blame the cold weather, but I’ve been watching a lot of TV lately. Even during my mid-day lunch break I find myself defaulting to 30 minutes on the couch with my sandwich and the remote to catch up on a little West Wing in between work to-do’s. It’s not good, and I honestly wonder if all the headaches I’ve been getting lately have to do with my time in front of the television. Now that the days are finally starting to get a little warmer, though, I found myself this past week choosing a book over a TV show or movie. 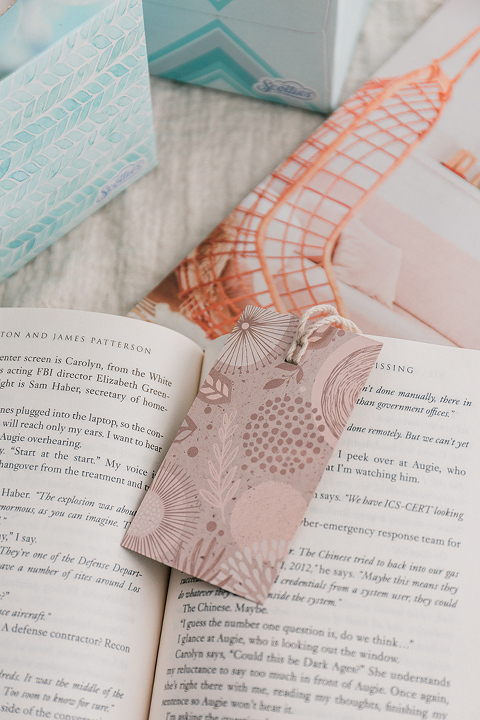 There’s just something so calming about losing myself in a good book, and that sense of peace is even stronger when I’m able to head out to the sunroom to soak up that springtime sun while cuddling with my book. 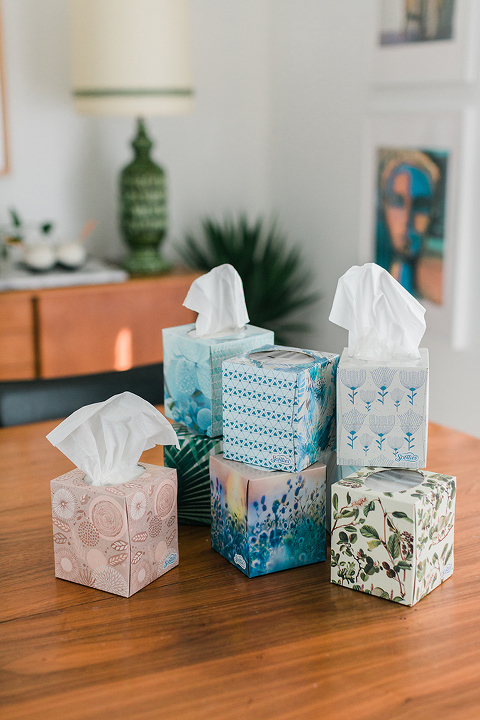 Inspired by this newly reformed habit, I put together a quick post for the Scotties blog all about how to make your own DIY bookmarks out of empty tissue boxes. The post you’re reading here on Dream Green DIY today isn’t sponsored and the brand isn’t paying me to mention the story that I wrote for their site, but I really loved the way the project turned out, and thought you guys might get something creative out of it, too! See the full tutorial this way, and then keep scrolling here on DGD for a breakdown of the books and magazines I personally plan to work my way through this spring. 1. Domino Magazine: The spring 2019 issue of this quarterly mag is one of my favorites ever from them. It’s packed with beautiful home tours, and there’s even a cool story all about emerging ceramists. I’m already planning to reread it. 2. The President Is Missing: Another one I’m planning to reread is this novel co-written by James Patterson and Bill Clinton. It’s one of those super fast-paced books that almost forces you to skim through the action to get to the finish line. I’m sure I missed some really clever details, so I’m keeping it within easy reach on my nightstand. 3. Daisy Jones & The Six: Word on the web is that this 1970s-rock-band-centered bestseller is going to be turned into an Amazon series (with help from Reece Witherspoon!). Count me in. 4. Pacific Natural: Simple Seasonal Entertaining: This one actually comes out tomorrow, and is one coffee table book I could definitely see myself reading from cover to cover. 5. 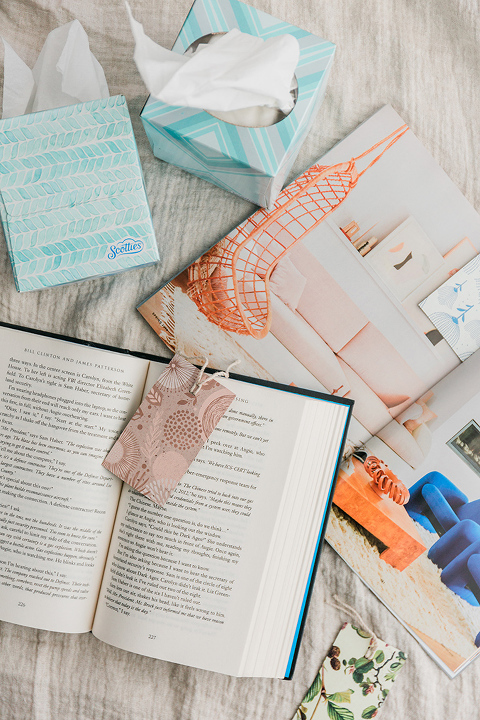 Homebody: A Guide to Creating Spaces You Never Want to Leave: My sister and I bought this book for my mom and dad as an early housewarming gift since they’re now thinking about how to decorate a new-to-them home. Before handing the book over, though, I couldn’t help but peruse the intro and first chapter. I might need to borrow it from Mom (or buy my own copy) because it’s surprisingly well-written and insightful! 6. The Southern Side of Paradise: I’m totally obsessed with the The Peachtree Bluff Series written by Kristy Woodson Harvey, and recently found out that the last book is set to be released in May. I can’t wait to get my hands on a copy, and might not even come up for air while I’m reading it. Did I leave a book off the list that you’re excited to dive into this spring? Do tell in the comments below because I’m always looking for suggestions. I tend to ramp up my reading in the spring, but I go absolutely NUTS with it in the summertime, so I need all the recommendations I can get. 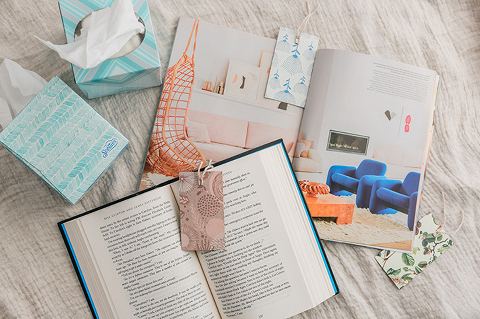 And be sure to visit the Scotties website next so you can peruse the DIY bookmarks tutorial that I produced for them—happy spring reading, everybody!